June 2015 (PENSACOLA, FLA) -- Dreaming of a newly-renovated bathroom? Turn those dreams into reality by entering the "Bathroom Makeover Giveaway" between June 19 - July 17. 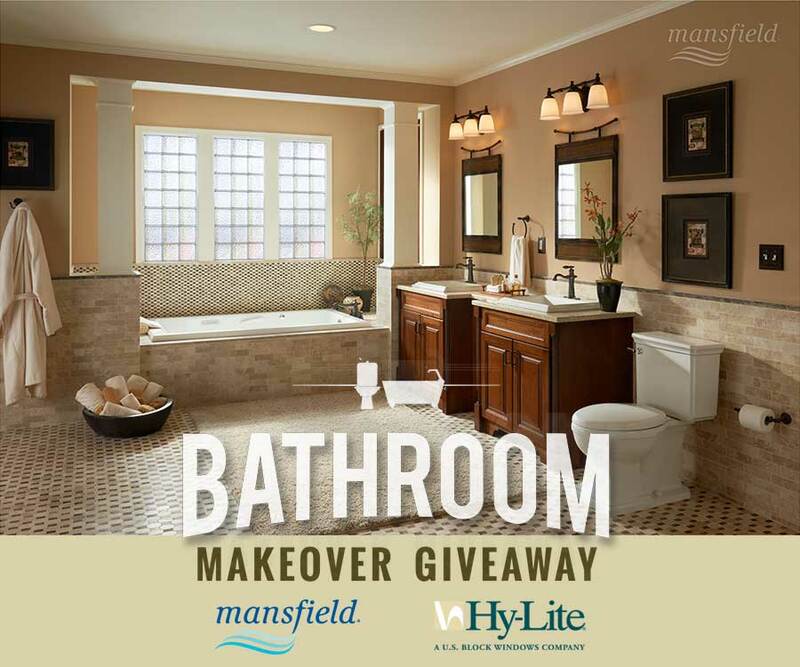 You could win a Brentwood Suite package of stylish tub, toilet and sinks from Mansfield Plumbing and an acrylic block privacy window from Hy-Lite. Go to On the House with the Carey Brothers radio show website for more details (click HERE). You'll find a variety of ways to enter. The more involved in the giveaway, the more times you can enter for a chance to win! You'll also find details on the Facebook page for On the House. This summer, we're helping one lucky winner turn their blissful bathroom dreams into a stunning new bathroom suite. That winner could be YOU!